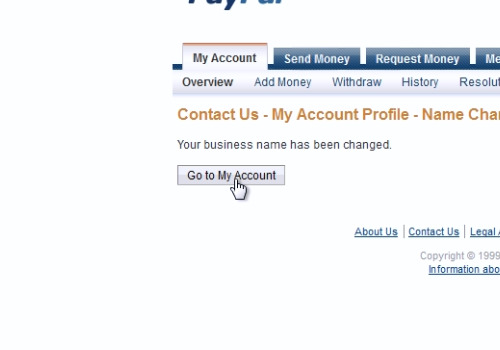 In this video tutorial we will show you how to change a paypal business name. launch your web browser. Type “paypal.com”. On the following web page, log in with your email and password. 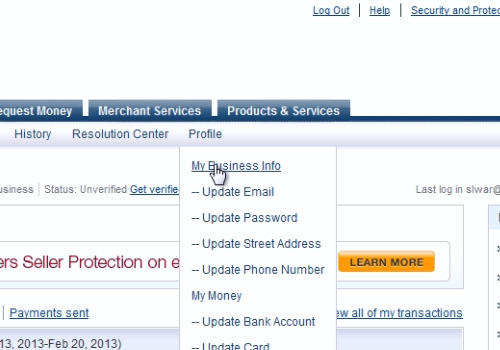 On the next web page, move your mouse on the “Profile” and in the popup menu choose “My Business Info”. On the next web page, press “Change” near “Name”. 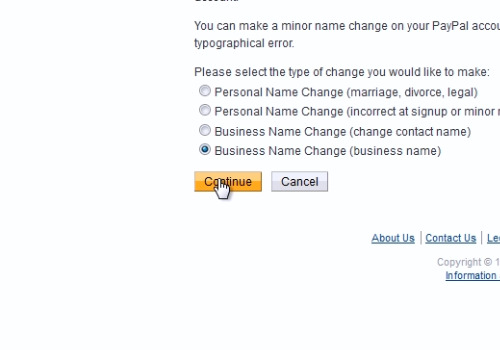 On the following web page, select “Business Name Change” and then press “Continue”. On the next web page, type the new business name and press “Continue”. On the next web page, you’ll see the message “Your business name has been changed”. Then, press the “Go to My account” button. Move your mouse on the “Profile” and in the popup menu choose “My Business Info” to check the new business name.